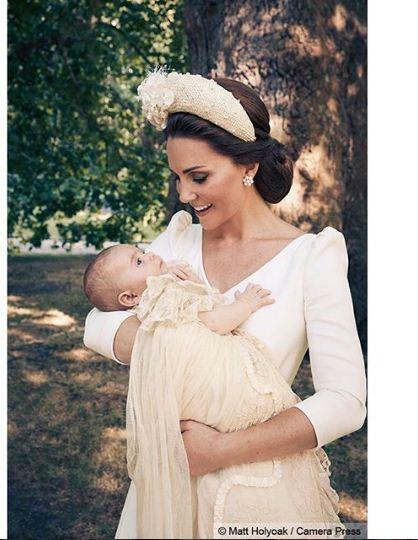 The Kensington Palace released official portraits from Prince Louis' christening. 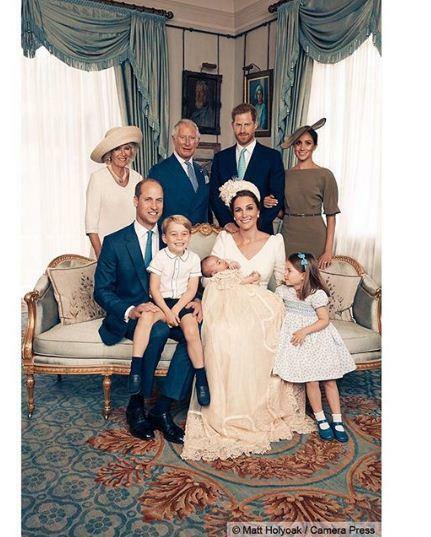 The photos were taken by British photographer Matt Holyoak, the photos show Prince Louis with Prince William and Kate Middleton. 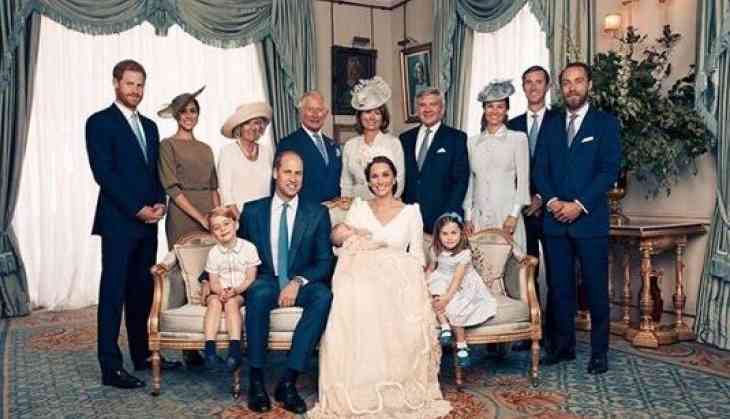 Other members of the royal family, and god parents are also there in the royal portraits. 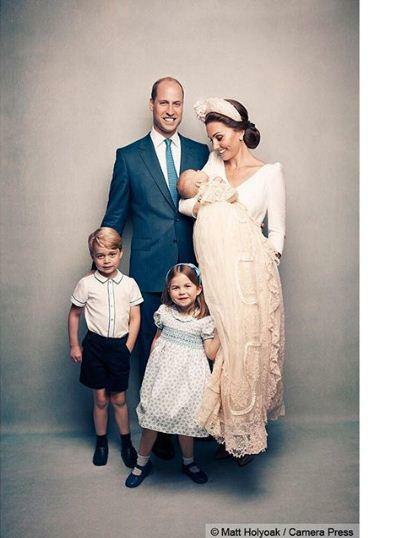 The photos were taken at a small reception following Louis' christening. The Cambridges pose with the Duke and Duchess of Sussex for the photos, along with William and Harry's dad, Prince Charles, and his wife, Camilla, Duchess of Cornwall. Louis' godparents also made an appearance. They are: Nicholas van Cutsem, Lucy Middleton, Guy Pelly, Harry Aubrey-Fletcher, Lady Laura Meade, and Hannah Carter. The Queen and Prince Philip, were missing from the ceremony. The Duke of Edinburgh stayed behind in Norfolk while Her Majesty traveled to London yesterday. Prince Louis was christened at the Chapel Royal in St. James' Palace in London. The ceremony was private, but some familiar faces were seen arriving for the occasion, including Meghan Markle, Prince Harry, Prince Charles, Duchess Camilla, Pippa Middleton, and her husband James Matthews. After the ceremony, the guests gathered at Clarence House for afternoon tea hosted by the Duke and Duchess of Cambridge. The couple served slices from a tier of their wedding cake (yes, from 2011) at the celebration.